DEAR GAYLA: Since it feels as if we never leave our computers these late-winter days, maybe we could celebrate on Skype together? Our blog anniversaries, I mean—mine’s March 5 (today! ), marking five whole years online, and if I’m counting right you’re at like age 13. How can that be? DEAR GAYLA is how an occasional series of “out-loud” letters between myself and Gayla Trail, the creator of You Grow Girl [dot] com, begins; this is the second installment of our correspondence. Here’s Gayla’s newest letter (which I hadn’t read before I typed that, nor vice versa). My previous letter is here. Come to think of it, the number 5 must be numerologically significant for me right now (maybe I should play the Lotto, or consult a medium?). 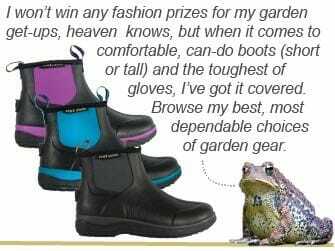 Or at least 5’s are very in-my-face: I’ve been a garden writer for 25 years, and it was 15 years ago that “A Way to Garden,” my first garden book, was published, the one I named the website for. Eventually, it made me feel self-conscious, as in: Was I making a horrible mistake? (I hadn’t cooked up ideas for the two books that would eventually be my main “job” so far in this new life, so things were sketchy at first.) I think that saying, “I’m starting a garden website” sounded more reassuring than, “I don’t know,” both to myself and to the many skeptics, and so A Way to Garden [dot] com was born. Happy anniversary, dear blog, now stuffed with almost 1,200 stories and 45,000 comments–the questions and shared wisdom of a whole community of plant-mad friends, including you, I’d never have “met” otherwise. GOING BACK to the “5’s” thing, Gayla, on December 25—Christmas!—my sister gave me a garden vintage find to end all garden vintage finds. I know that’s saying a lot, since you are the Queen of Junking and have scored some beauties (like that botanical display cabinet for $15 last year, and your endless stream of pots and pans and kettles and other containers-in-the-rough) but it’s a pretty great thing. It was shared with my sister by a friend named Evelyn, who asked that she in turn share it with me. (I still can’t believe Evelyn, or my sister, parted with it.) I wrote to Evelyn afterward, to ask what in the world was the history of “A Treasure Box for My Garden” (dated 1932-33). It’s like a recipe box of cards, but filled with gardening tips and plants divided up by subjects such as “plant feeding” or annuals, instead of meatloaf or chicken ideas filed under entrees. Since it’s my current lucky number, I guess I should see what it says on Card 5, huh? One second, let me grab it…OK, it’s part of the “Botanical Names Index,” the card that includes the letter “E” as in Euphorbia, one of your favorite plants and mine. Each card has this tiny copyright line on the bottom edge, saying: “Data compiled and verified by Mrs. Elizabeth Peterson, who is executive secy. of Horticultural Society of New York.” Both sides of each card are positively covered in information, ranging from all the state flowers or dates for Arbor Day in each one, to recommended rose varieties, and how to plant bulbs or care for your lawn—you name it. An encyclopedia, all in a little cardboard box. THE NAME “Vigoro” is part of a number of the recommendations—as in how much of that brand of fertilizer to use on your grass or roses–so I guess this quaint little box was a premium with purchase. You and I with our chemical-averse garden ways would not have earned a treasure box at Winer’s Hardware Store in Quincy, Massachusetts, where this one originated, Gayla! Shall we go ahead, then, for another 5 years, or perhaps another 13? 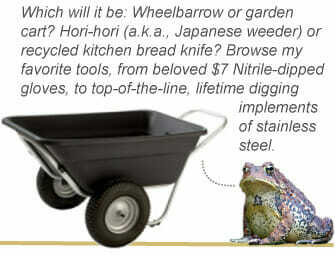 I suppose that A Way to Garden [dot] com is a giant virtual treasure box for my garden, as You Grow Girl is for yours. Love to you and Davin and Molly, as ever. Meow, meow (and: “Got any kibble to spare? I could use a little nosh right now”) from you-know-who, He Who Shall Not Be Satisfied. I love it! Love the artwork, too. 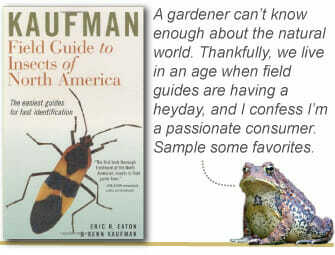 That last quote about the experience of the individual gardener is great. So true. I recently found a similar premium giveaway item but it’s a recipe box rather than a garden box. It’s not quite as interesting. Happy 5, 15, and 25! Wonderful! There is a small garden near my house that contains a plaque stating that it’s a duplicate of a garden from St.. Louis, circa 1942. I love to stand and think about that, so I’m sure a box of gardening history like that would just eat up hours! These are great letters to eachother… and what a great find! I scour yard/estate sales and antique shops for interesting gardening finds… maybe I can find my own little treasure box! I have a very old wooden seed box (looks oaken) that I store trinkets in-1904 I believe. They used to ship seeds in these. Packaging sure has changed. And Happy Anniversary to you both!! Lovely reflections. I find that Plan A is generally overrated, so glad this plan worked out for your. “Make your mistakes here and there” – that’s a gem! Happy Anniversary from a very appreciative reader. Congratulations! May you have as many anniversaries as you wish. What a wonderful gift that box was. I love it that she did not expect you to be perfect, but to “make mistakes here and there”. I think you win the prize for the best vintage garden find EVER. I am a flea-market-garage-sale-antique-store fanatic and I have never seen anything like that before. What a wonderful “treasure”. Congratulations to you and Gayla. 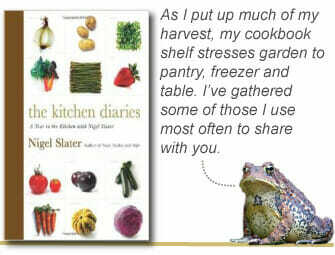 Thanks for sharing your garden knowledge and journeys with us! Thanks, Theresa — and can you believe someone actually handed it down to me? I have it here on my desk, as I have since Christmas, keeping me company. Happy anniversary and my thoughts today are with Martha who has mentored the world teaching all of us much about LIVING. My Dad would say “March is time of Summer and Winter fighting it out” as we got tired of long winters in Dakota. Much to be learned from times long past and I can’t forget VIGORO that Mother wanted after reading about it in one of the very few articles available but didn’t spend money when she could make manure tea. Gonna go read Gayla. Love this post, Margaret. Happy anniversary! And many more! I find myself wishing that you could scan each card into a file that we could read. What a great find and a generous gift from your sister. I echo the above sentiment from Joan. Always on the lookout for rare finds at flea markets and yard sales, I have never seen anything like it. That little box is a treasure for sure. Congratulations Margaret! Feel so priviledged to be able to read your correspondence with Gayla.Just gave a “high five” to my spirit for guiding me to your “And I Shall Have…..”book and subsequently to this magical place that is your blog. Happy Happy Anniversary!!!!!! Daisy. What a great treasure (you,you,you) Happy 5th Anniversary and many more. What a wonderful treasure! I have collected a couple of old books, one written by an author from Charlottesville, VA, back in the ”40’s” I believe Her husband was a professor from the University and they lived in the mews and later built an exquisite house nearby. I have visited the house and had met the present owner. When a local nursery sold some years ago, the owners retired to a house behind the nursery. They have developed new species of hosta for years. I can still go back there to buy and to see the new beauties. From there I was able to purchase one of those wooden boxes which help seeds when they were shipped.just like a previous email. Enjoy 5, 10, 15 next years. I hope your knees last that long. Happy 5th blogiversary! I enjoyed the letter and LOVE the garden box. I wonder if Mrs. Peterson could imagine how much her efforts would be appreciated this long after she completed the cards?